With a view to curb money-laundering through insurance, the Insurance Regulatory and Development Authority has asked private player Birla Sun Life Insurance Company to adopt affective procedure to know source of funds by policyholders and not merely rely on documentation for premium payment of over rupees one lac per annum. “Authority advises Birla Sun Life Insurance Company to lay adequate emphasis on effective procedures for strengthening the compliance norms of the AML (Anti-Money Laundering) master circular and all subsequent regulatory instructions issued on this matter from time to time,“ the regulator said in a recent order. 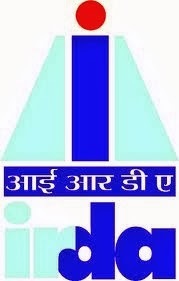 It is believed that the new IRDA order is an implication of a news last year that had accused 23 leading banks and insurance firms including Birla Sun Life Insurance Company of 'running a nationwide money-laundering racket, blatantly violating laws of the land'. According to the news published on a web-portal, the financial entities offered to open bank accounts and lockers without following Know Your Customer (KYC) norms, convert black money into white and obtain fictitious PAN cards. The regulator, in a separate order, guided Future Generali India Life Insurance to put in place fair compliance system while submitting information to the Authority. Further, the order said that the company during the hearing discovered the fact that there was a procedural lapse while exercising the due diligence when forwarding the referral application to the Authority.